LAW OF THE LAND Spielberg’s latest chronicles ?Lincoln’s hook-or-crook ?campaign to pass the ?13th Amendment.? This was always going to be a significant film. Its central character, after all, is among the most mythologized human beings who ever lived. Its director is responsible for some of the biggest, most popular movies ever made. And its star is arguably the finest actor on the face of the earth. By no means, though, was Lincoln guaranteed to be a great film. I’m happy to say it is. And not necessarily for the lofty reasons a lot of reviews have suggested. Critics sometimes overintellectualize, and I’ve read reviews of this movie that left the impression one would practically need an advanced degree in history or political science to properly appreciate its subject matter. Nothing could be further from the truth. While Steven Spielberg’s latest portrays an extraordinary man contending with extraordinary circumstances, it’s very much a story about politics as usual. The term “gridlock” might not yet have been coined in the mid-1860s, but the phenomenon was already very much a fact of life on Capitol Hill. Inspired by Doris Kearns Goodwin’s 2005 bestseller Team of Rivals: The Political Genius of Abraham Lincoln, Spielberg’s remarkable movie isn’t a biopic in the traditional sense. Rather than recount the events of its subject’s life, the picture conveys his essence through a brilliant delineation of a single pivotal chapter — his improbable campaign to outlaw slavery forever by shoving the 13th Amendment down the throat of an uncooperative Congress. 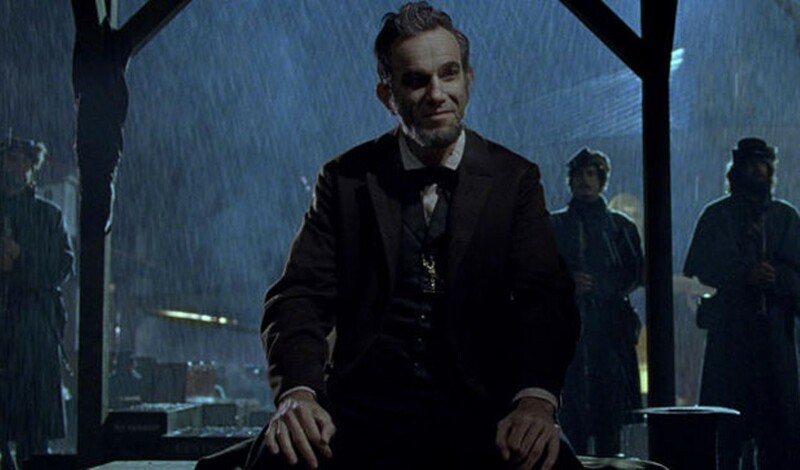 We’re accustomed to the cliché of a solemn, brooding Lincoln, so one of the film’s revelations is just how much fun he had being the 16th president of the United States. Daniel Day-Lewis is almost otherworldly in the role. He doesn’t so much play the great man as channel him, and the actor makes a point of putting Lincoln’s fondness for mischief and humor at the forefront of his interpretation. The Lincoln we meet here isn’t merely capable of telling folksy stories and salty jokes, however. He’s capable of bending rules, even breaking laws to get the job done. For every public display of impassioned oratory, we witness a dozen deals and countless bribes. In the hands of screenwriter Tony Kushner — a Pulitzer-winning playwright — the race to pass the bill before the Civil War draws to a close (so the Confederate states won’t be able to vote against it) becomes a thing of back-room beauty. Never before in American cinema have politics and poetry combined to make such spellbinding bedfellows. The film comes close to flawlessness. Complementing the immensely magnetic performance by Day-Lewis and Kushner’s exceptional script are Janusz Kaminski’s beautifully muted camerawork and Rick Carter’s production design, which conjures a rough-hewn Washington still only a step or two up from a frontier town. Lincoln also has more fabulous supporting turns than you can shake a stovepipe hat at. 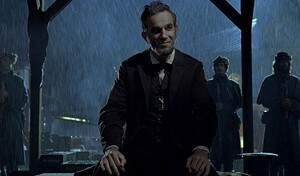 They include Tommy Lee Jones at his most cantankerous as abolitionist Thaddeus Stevens; David Strathairn as William Seward, Lincoln’s secretary of state and enforcer; and James Spader having a high time playing a mustachioed scoundrel hired to buy votes for the bill — along with others too numerous to list. But you can’t review this movie and not give particular consideration to the most curious, controversial member of its cast. Sally Field was either going to be an inspiration or a total disaster in the role of Mary Todd Lincoln, and I’m sort of shocked to report she pulls it off. I can’t imagine the film working nearly as well without her. Field is utterly convincing as a woman who’s smart, tough and haunted equally by the memory of her deceased son and the sense that the man she married is not entirely of this world. * Running time: 150 min.